The amazing scent and large size of the peony, makes it a stunning flower for bridal bouquets and other wedding arrangements. This beautiful flower is in bloom from late spring to mid summer. 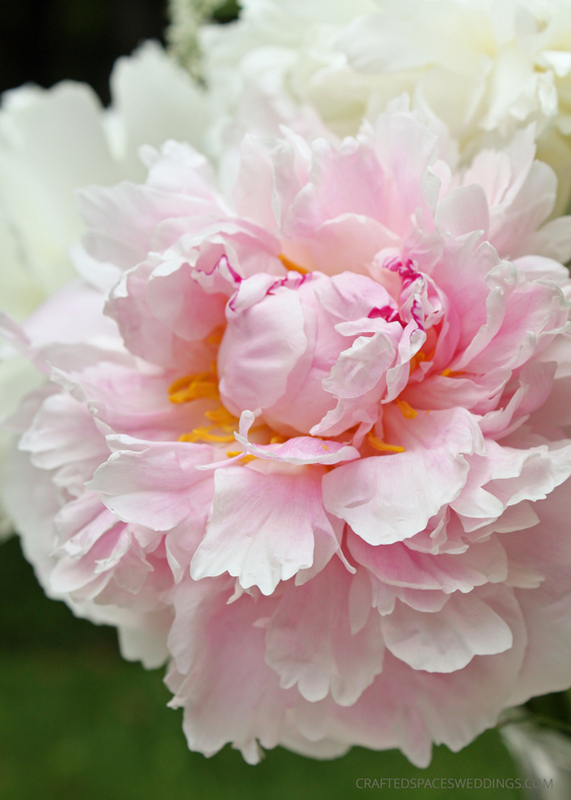 Blooms measure anywhere between 2.5" to 5," which means that you do not need many of them to create a dramatic effect. They are available in shades of white, blush, light pink, white with red accents, dark red, hot pink and bright fuchsia. 1. Fill your vase or container with cold water. 2. Trim the leaves off of your stems and only keep the leaves that will be above your water line. 3. Add the hostas to your container, spreading them out evening with the leaves facing upward. 4. 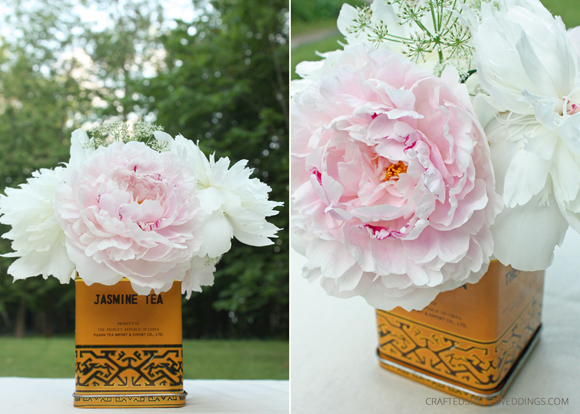 Start adding the peonies into the container. I like alternating between the two colours and working my way around the container. 5. After you have placed all of your blooms, add the queen anne's lace as your filler. Tips: Remember to trim your flowers to the height of your container. Check your water level and add fresh cold water each day to get the longest time possible from your arrangement. After a couple days you can recut the stems and thin out faded blooms if you like. 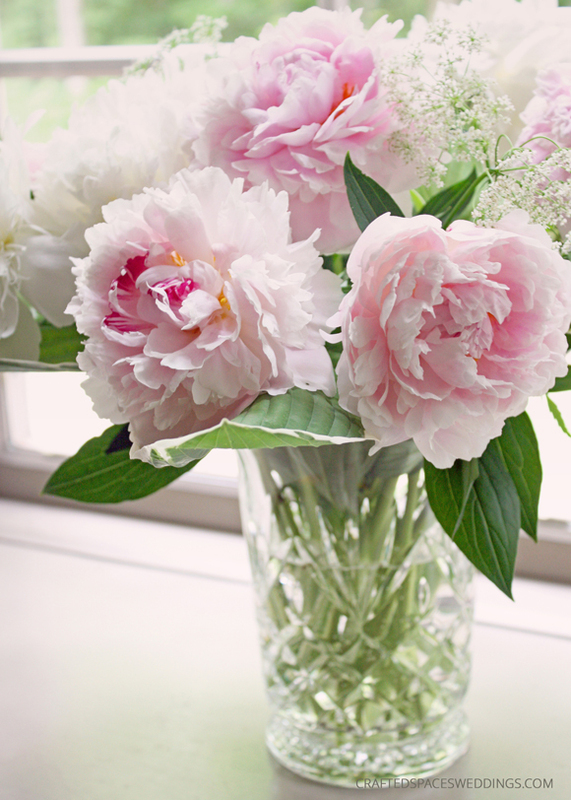 Peonies are easy to work with, you can place them on you guest sign-in-table or as centrepieces. Combining opened and closed blooms is a great way to get more out of the arrangement and creates more interest and texture. A great alternative to a large arrangement is creating several small arrangements. You can place these smaller arrangement on their own or with several other arrangements. Two years ago I planted this amazing flower in my garden and this year I was fortunate to have some blooms. I wish I could say that the blooms I used in this DIY arrangement were from my own garden, but I have to credit my two neighbours for being so generous with their stunning blooms. 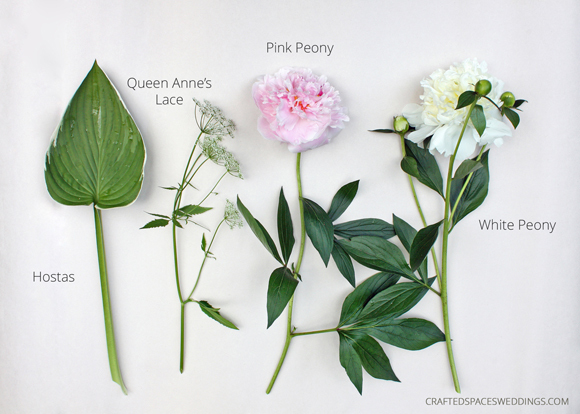 When not in season, peonies can be sourced online or from a local florist.